One of the primary purposes of architecture is to bring people together — to frame and contain a space so human connections can flourish. Within this installation, people are invited – ever so gently – to stop and smile, pause and play. Four Periscopes is an experiential work of architecture that encourages visitors to reflect and connect using a matrix of mirrors. The project was developed in collaboration with Sydney’s Museum of Applied Arts and Sciences (MAAS) - Powerhouse Museum, - and is the first in a series of annual architectural commissions. Four Periscopes responds to the cavernous void that sits at the heart of the museum’s Turbine Hall. This interior space, which once held a power station, is a grand volume that can be viewed from multiple vantage points. 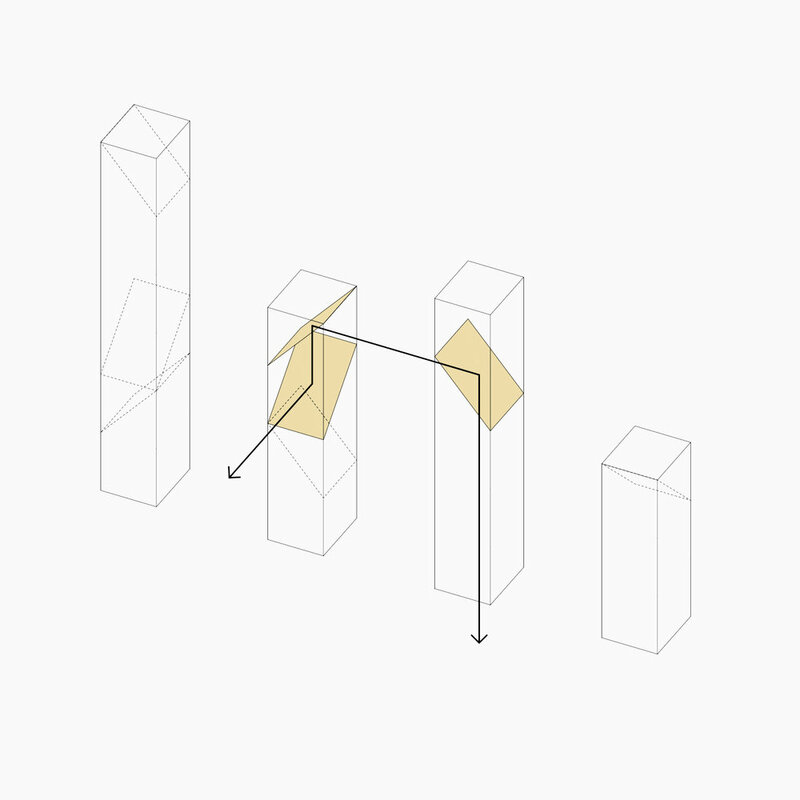 The installation is composed of four suspended towers, which float slightly above the ground. From afar, the volumes are simple and seamless, evoking the abstract forms of vertical cities. Their light, plywood-clad forms appear striking in an otherwise dark interior. Up close, visitors are invited to peek within each tower. Here, they encounter a series of interactive, periscopic mirrors. These reflect unexpected views from the balconies to the ground floor, and from one tower to another. Four Periscopes creates complex webs of connection, and layers lines of sight. The main joy of the installation lies in witnessing unexpected interactions, and in deciphering how each tower works. In response to our image-obsessed culture, Four Periscopes transforms the mirror – a traditionally visual device – into an engaging experience. The periscopes become portals that transport us away from ourselves and, instead, encourage interactions with others. They surprise us with views of those other than ourselves. 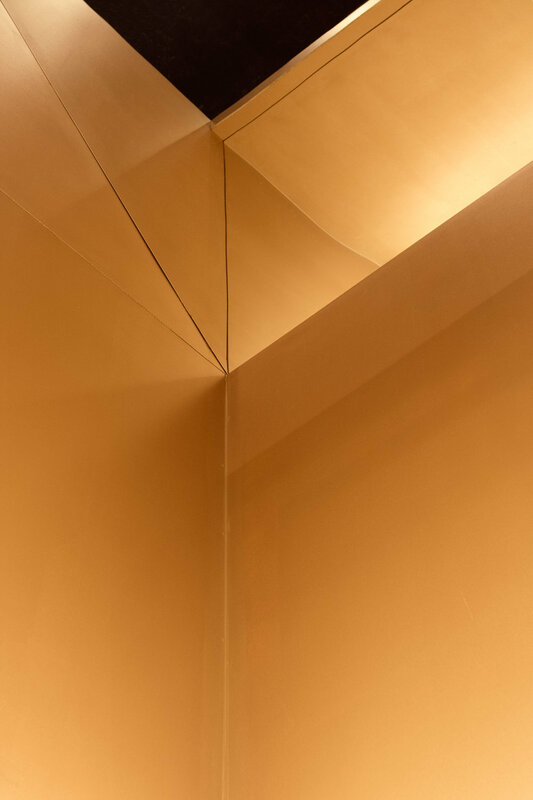 Looking inside each periscope reveals a luminous interior, painted in a rich, radiant gold. The atmosphere is immersive, transportative and unexpected. On the ground level, lustrous fabric hangs down like a curtain, inviting visitors to peer up and in. Concealed lighting washes light down these curtains, giving them a gentle glow. In a final response to the competition brief, Four Periscopes was developed to counter the wasteful life-cycles that often accompany architecture and design. 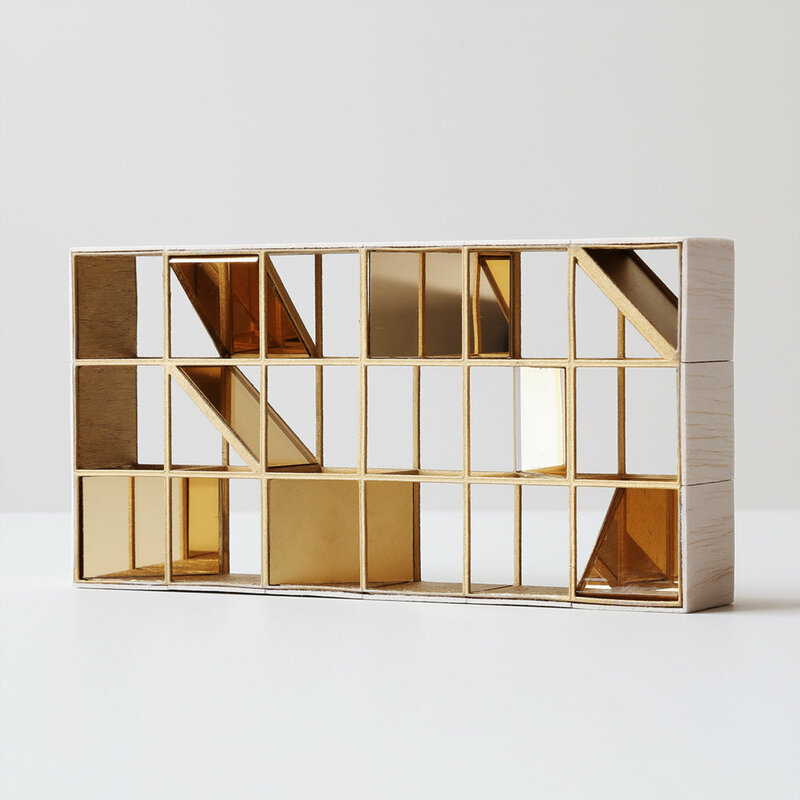 The installation prioritises re-use by envisaging a ‘second life’ for this structure. As a consequence, all of the parts of Four Periscopes - including the frame, connections and sheeting - can be detached and reassembled after the exhibition. During construction, wastage was also minimised by relying on standard sheet sizes and dimensions. A series of models – which are now on display within the museum – document how Four Periscopes will transform into another structure. 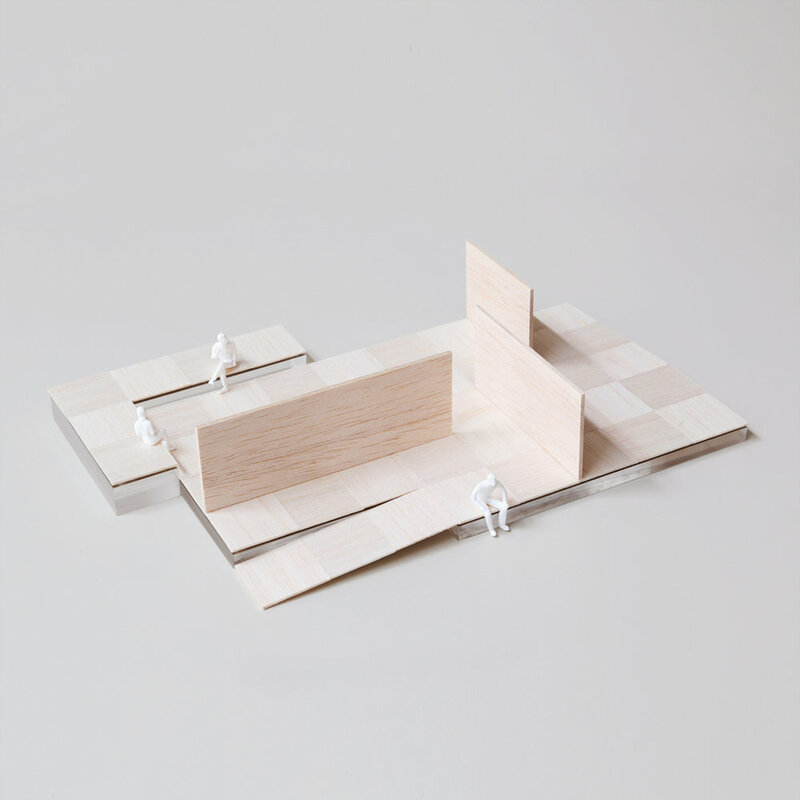 One model showcases the structure as a pavilion that hosts lectures and talks. Alternatively, the components can be configured as another installation. Ultimately, this ‘second life’ ensures that Four Periscopes will remain within the museum’s collection, continuing to connect, engage and delight visitors well into the future.